Hakuba is located one hour due West of Nagano city on Japan's main island of Honshu. Tokyo's Narita and Haneda Airports are the closest international airports, but Hakuba can also be reached from Nagoya Centrair Airport and Osaka Kansai International Airport. A private or shared airport taxi transfer service between Hakuba and Tokyo Narita, Tokyo Haneda or Nagoya Centrair Airport. Opt for either a shared taxi with other travelers or a private taxi seating up to 7 people. 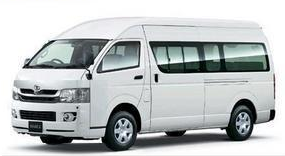 A convenient public bus service direct between Tokyo Narita Airport or Tokyo Haneda Airport and Hakuba. 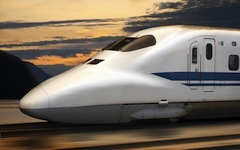 Take the Shinkansen the legendary Japanese Bullet Train from Tokyo, Nagoya, Osaka or Kyoto. At speeds of up to 275mph, this is one of the fastest trains in the world and an experience not to be missed! A Private Taxi service direct between Hakuba and Tokyo or the other resorts in the Japan Alps - Myoko, Nozawa, Shiga Kogen and Madarao Kogen. 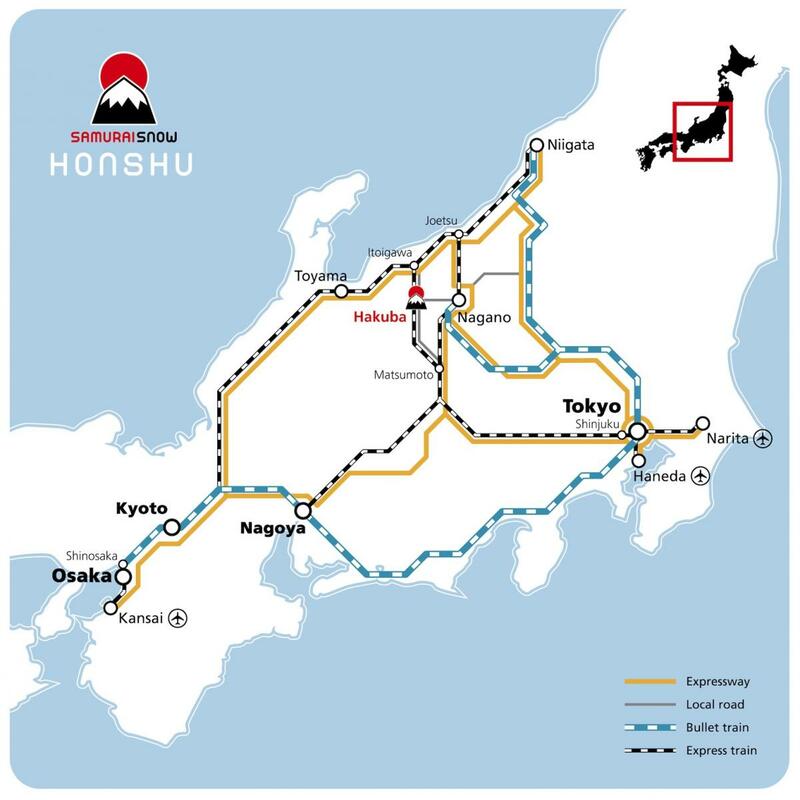 A convenient bus service direct between Hakuba and the other resorts in the Japan Alps - Myoko, Nozawa and Shiga Kogen.